The ARM7TDMI based MCB2400 Evaluation Board allows you to generate and test application programs for the NXP (formerly Philips) LPC24xx microcontroller family. With this hands-on process, you can determine the hardware and software requirements for current and future product development. 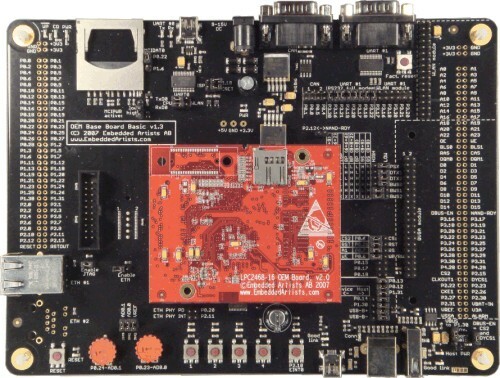 The MCB2400 Evaluation Board ships with the LPC2468 device that is a superset of several other device variants of the LPC24xx microcontroller series. The MCB2400 Board contains all the hardware components required in a single-chip LPC24xx system. 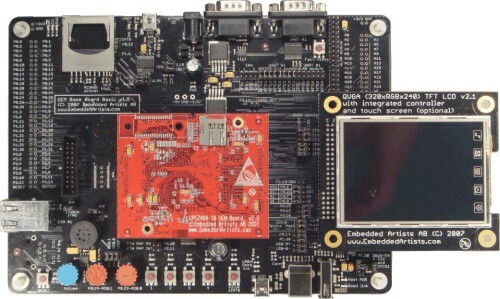 The MCB2400 Evaluation Board also ships with a 320x240 TFT LCD QVGA color display module with a built-in touchscreen. This board mounts easily to the MCB2400 board via 2x20 pin header.